We thought that you might like to know about an Entertainment being offered in Cambridge during the summer. 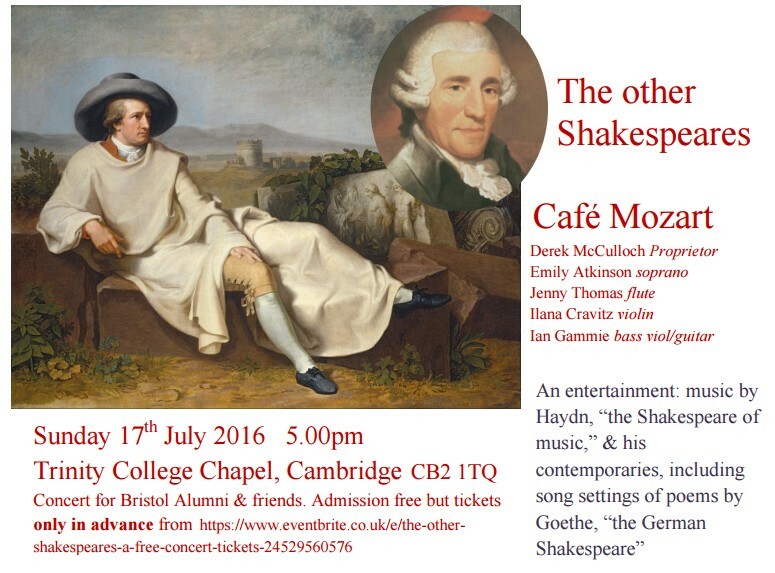 Our friends at Dr Derek McCulloch’s Café Mozart will perform music by Haydn, “the Shakespeare of music,” & his contemporaries, including song settings of poems by Goethe, “the German Shakespeare” at Trinity College on 17 July. The event is free to ticket holders – you can claim yours here.